Symbol of Nuremberg: The Imperial Castle (Kaiserburg). 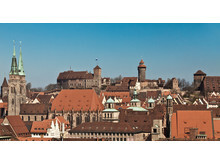 Nuremberg was the 1st town to accept the Reformation in 1525. Looking towards a new year of meetings in Germany, while also reflecting on major influential moments in history, 2017 marks the 500th anniversary of Martin Luther nailing his 95 theses to a church door in Wittenberg … effectively kicking off the Protestant Reformation. Germany and the Maritim Hotels, Germany’s leading family owned hotel group, will celebrate throughout the year by welcoming meetings with religious groups and associations from all around the globe. These meetings and event goers are being drawn to Germany by a strong desire to tap first hand into the expertise, knowledge and one of a kind places surrounding the enduring figure of Luther and his world-changing work. Maritim properties and celebrations in three cities in particular Magdeburg, Berlin, and Nuremberg will provide ideal epicenters for Luther enthusiasts. 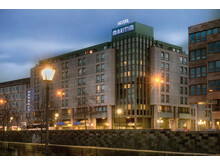 The Hotel Maritim Magdeburg is located in the regional capital of Saxony-Anhalt in the former East Germany). Adding local Luther power to its well appointment meetings spaces, dining and accomodations, this Maritim will organize walking tours of the Fürstenwall promenade, and the Walloon and St John's Churches allowing people to follow in the footsteps of Martin Luther. 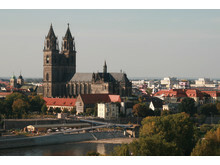 Visits to the Magdeburg Cultural History Museum will also be offered, where Maritim meeting goers can experience their unique historical art collection and learn about Magdeburg's special place in the history of German Protestantism - brought vividly to life in the exhibition "Gegen Kaiser und Papst" (Against Emperor and Pope). In addition, Maritim’s two Berlin properties – Maritim Hotel Berlin & Berlin proArte will host meetings and guests around the German Historical Museum’s exhibition “The Luther Effect. 500 Years of the Reformation”, and visits to the Wilhelm Memorial Church the symbolic center of West Berlin.